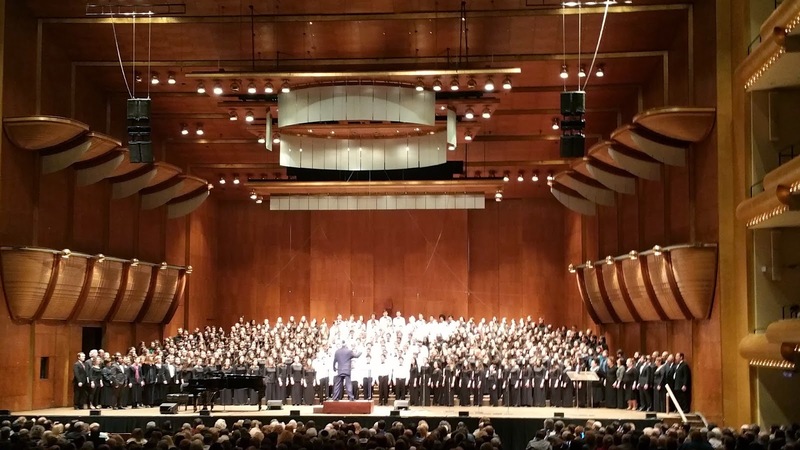 If you weren't seated in Avery Fisher Hall in New York's Lincoln Center last Sunday, you really missed something big. For two hours, 350 teenagers from 26 chapters of HaZamir Jewish High School Choir across the United States and in five cities in Israel gave a stunning performance to a packed house, singing 20 traditional and contemporary songs in Hebrew, English, and Yiddish. In this excerpt from the performance, filmed at a rehearsal, Dr. Marsha Bryan Edelman of HaZamir Philadelphia conducts the choir in her arrangement of Ahinoam Nini's song Mishaela, accompanied by Lior Ben-Shlush of HaZamir Kfar Saba at the piano. Just below is another video of the same choir two years ago performing David Burger's Tefila l'shlom Eretz Yisrael - the prayer for the State of Israel that is said in many synagogues on Shabbat. I was lucky to attend this event. It was absolutely an outstanding performance. Yishar Kocham ; the students, the conductors and organizers. Thank you Al for sharing it with your readers.